The long wait is over! 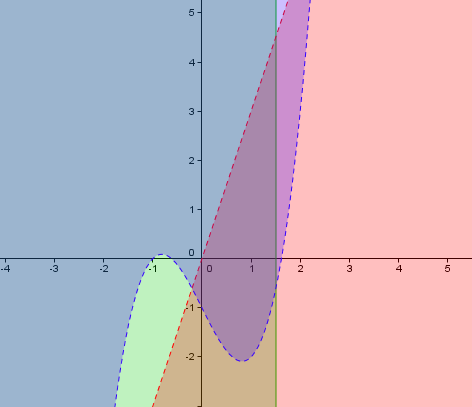 GeoGebra 4.0 can now graph inequalities as shown in Figure 1. 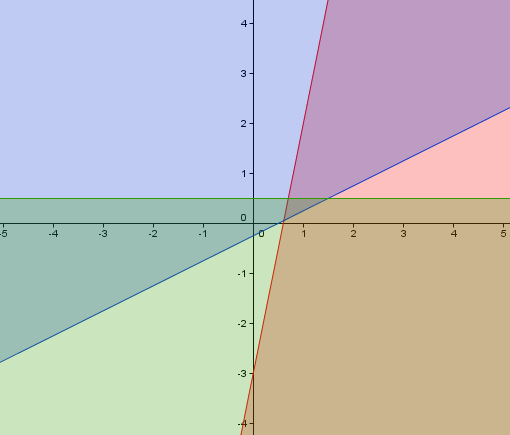 Update (Oct 2, 2010): The GeoGebra 4.0 version can now graph linear inequalities. Click here to read about it. I wrote this because there are a lot of searches in my Blog Stat searching how to graph inequalities in GeoGebra. UNFORTUNATELY, GeoGebra is still working on this feature. I emailed Markus Hohenwarter, the creator and lead programmer of GeoGebra, two years ago requesting for this feature but he told me that he was still working on more important features. There are, however, GeoGebra users who found a way to improvise. Some of the links are shown below. If you are just looking for a software that can graph inequalities, you can try Graph Calculator 3D which has a free edition. The screen shot of graphs of systems of inequalities is shown below. Notice, that graphing inequalities in this software is very easy. First, you just have to type the equations or inequalities (upper left of the diagram), then choose the graph attributes (middle left of the diagram). You can also choose 3-dimensional graphs. 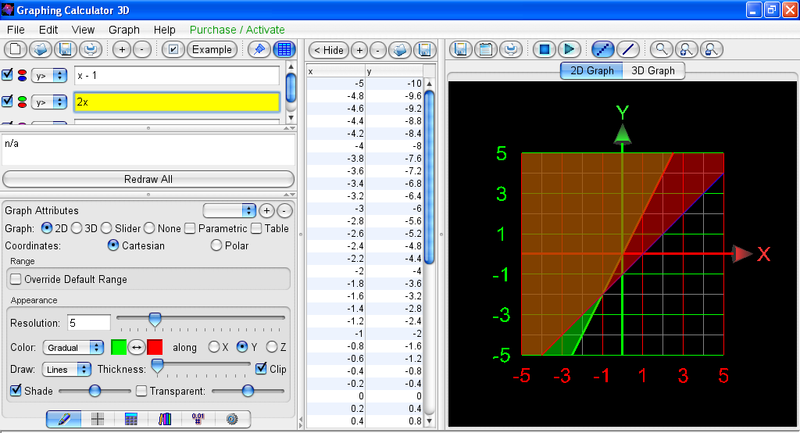 I will have a separate tutorial post on how to use the Graph Calculator 3D soon.